A Shih Tzu is a great breed to consider if you want a small dog that shows lots of love. Sure, they might steal your shoes, but they'll love you forever and just want you to love them back. Before you bring a Shih Tzu in your home, however, it's important to know more about this breed. How much do you actually know about these lovable little dogs? 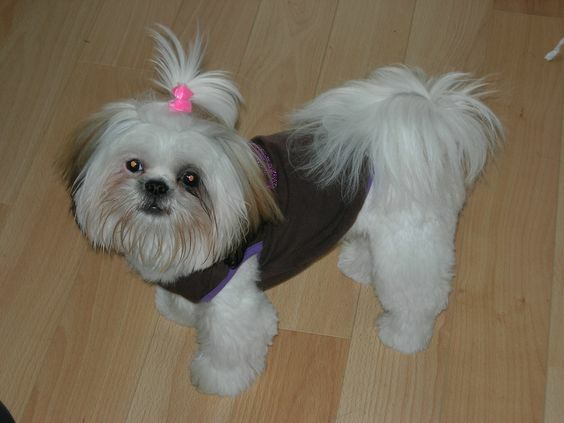 If you want to learn about how big Shih Tzus get and other interesting facts, keep reading! This toy breed doesn't grow to be very large, so you don't have to worry about a Shih Tzu stealing your dinner from the table, unless they find a way to jump into the chair when you're away. They typically grow to about 8 to 11 inches at the shoulder. Of course, it will depend on the dog and the gender, as the females tend to be a bit smaller than males. As you can see, the typical Shih Tzu height isn't very tall though, which means they make perfect lap dogs. They're super small and super cute!